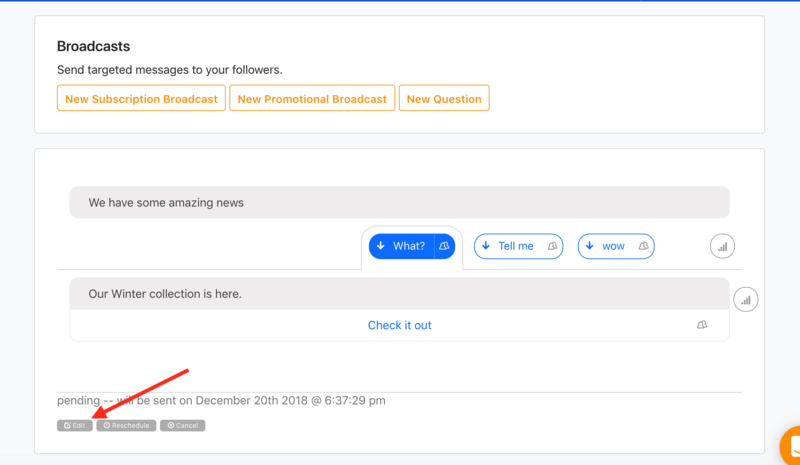 You can pre-schedule content by writing and scheduling your Broadcasts in advance. To pre-schedule a Broadcast, simply write your message and choose the date and time you want it to be sent. Then add images, links, etc., and click “Send,” and the update will be sent on the scheduled day. Note that time will be based on your computers time zone. How can I edit Scheduled message?